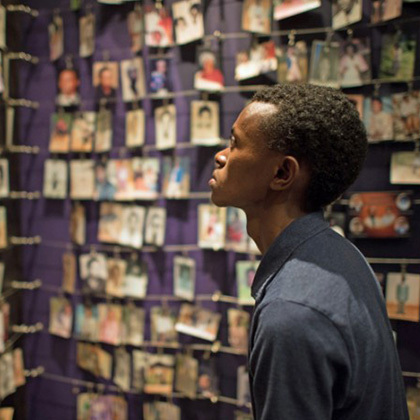 In 1994, an ethnic genocide swept over Rwanda and in a matter of four months, an estimated 800,000 people were killed and two million more were made refugees, leaving the country in a state of seemingly insurmountable obstacles and a paralyzed economy. Twenty-two years later, the country is recognized as one of the top ten fastest growing economies in Africa, supported by a number of sources. The story of Rwanda’s devastating market collapse and rehabilitation is unparalleled by any other nation. Expose students who are studying an International Business qualification to a glimpse of the dynamics behind a fast-growing economy and success in light of adverse historical devastation. Kigali, Rwanda, is one of the leading markets of developing Africa. Rwanda’s unique history, bustling economy and cultural holdings distinguish the country as an unprecedented destination for learning. This module will be based in Kigali, which is Rwanda’s capital and biggest city. It is built across an undulating series of lush hills surrounded by higher mountains, the largest of which is Mount Kigali, rising about 1 850 meters above sea level. Kigali is the country’s financial, commercial and cultural hub, served by an international airport and featuring a wide range of accommodation options, restaurants and points of interest, including the Kigali Genocide Centre, an atmospheric market and numerous craft shops. Practical: Company visits with local business owners and leaders; lectures from the University of Rwanda College of Business and Economics; possible consultancy work; and guided visits of genocide historical sites for context. Theory: Business innovation; technology; social entrepreneurship; fast growing economy; market resilience; and the culture and history of Rwanda. At 36 years of age, Diane holds a Bachelor’s degree in Business Administration (Finance Option) from Kigali Institute of Science, Technology and Management and a Master’s degree in Public Infrastructure Management from Makerere University. Diane comes from a Business Management background in financial institutions, she occupied several senior positions at Rwanda development bank and possesses more than 10 years of diverse experience in project analysis, monitoring & evaluation, capacity building of cooperatives & microfinance institutions and refinancing. She has experience in elaboration of feasibility studies for different kinds of projects and a special knowledge in data collection and elaboration of management tools such as business plan, policy & procedures, strategic plans, etc. She recently started her own business, a mattress production plant, and is a consultant in the field of banking, finance and taxation. Mukama Egide is 30 years of age with a Bachelor’s degree in Tourism and Management from Makerere University. Egide grew up in Kigali during the genocide and can give a first-hand account of the economic and social failures and triumphs his country has experienced throughout his life. He has ten years of experience in the hospitality business, having worked for Exodus travels as a guide and a Big Local tour company (Amahoro Tours) for four years as their operations manager. He ran a chain of restaurants named Woodley in Rwanda for nearly four years after which he stopped to open his own tours and travel consultancy business. 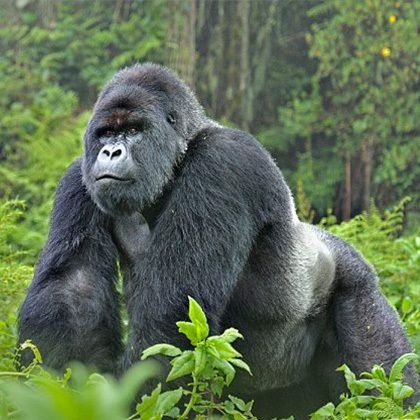 He now runs this company (Virunga Expeditions) which has grown exponentially in the first few years it has been running.